Wedding albums produced by Stephen McGowan for your Manchester and Cheshire wedding day. We use the finest albums available, hand made and absolutely stunning quality. 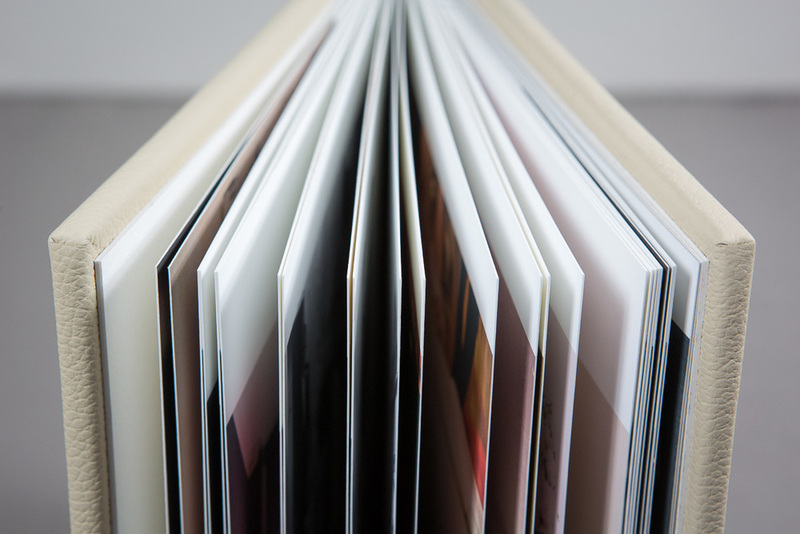 There are two different options to choose from: fine art albums or matted albums. There is also the option of having a silk finish front cover or a traditional leather finish. If you wish to have your photos displayed in a beautiful album, we can certainly do this for you. 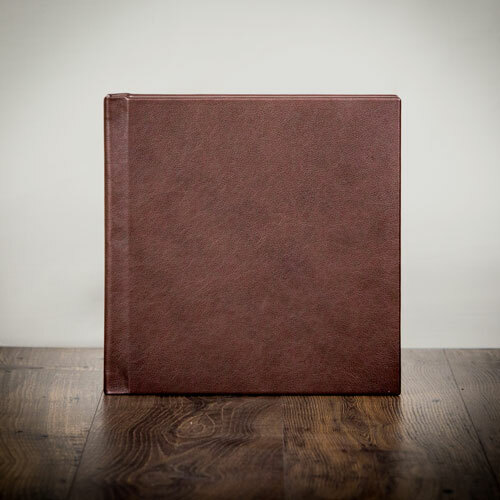 We work with the brilliant Folio albums (based in Barnsley UK) who produce gorgeous hand-made albums. You can tell that a lot of love and care goes in to the production of these albums in their remarkable standard of quality. 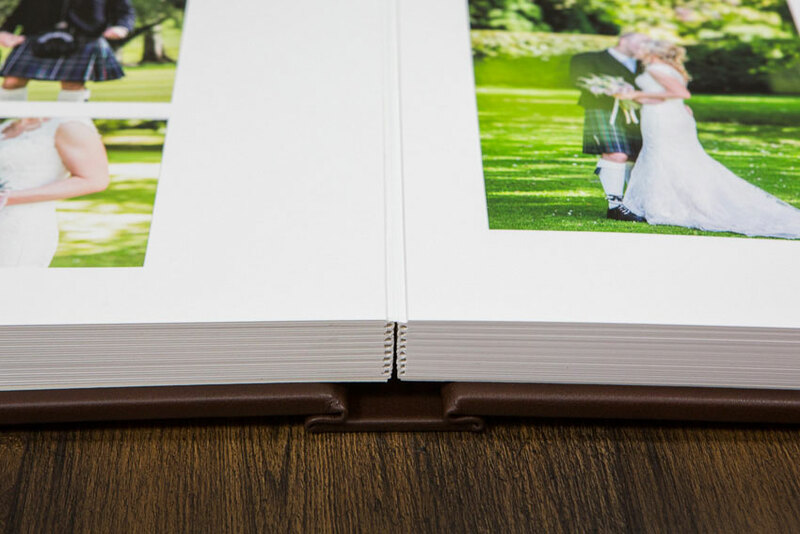 Folio albums provide two options of wedding album, the contemporary 'Fine Art' wedding album where the photographs are printed onto the pages (our personal favourite), or the 'Matted Album' which is classically designed with the photographs embedded into thicker album pages. The same quality and care. 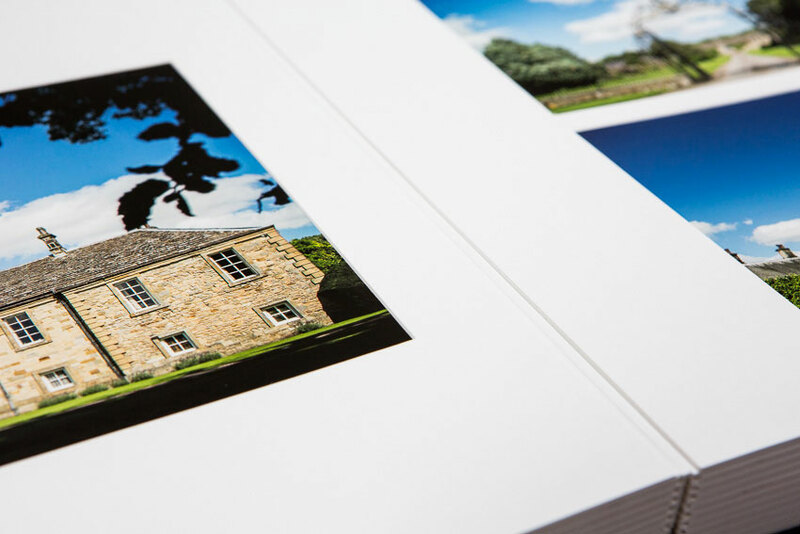 Folio Albums offer two styles of album – their signature Fine Art Books and also Matted Albums. Every album is handcrafted with the highest quality, eco-friendly materials and care to beautifully showcase any type of photography. 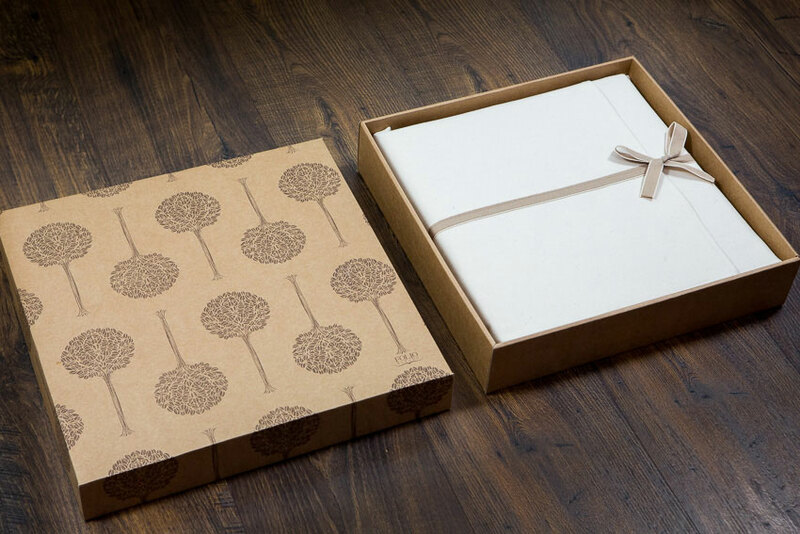 Both album styles offer a broad range of cover, paper and personalisation options to make every product a one-off. 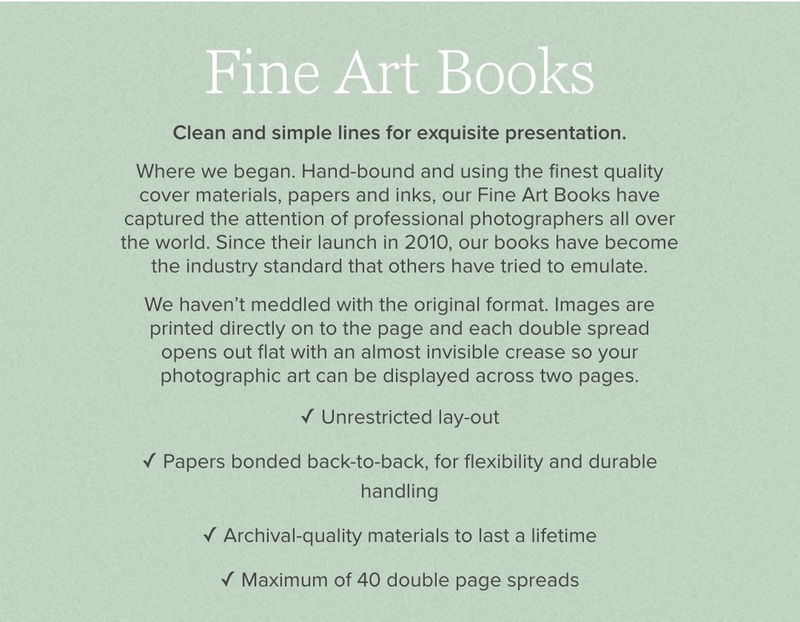 Prices for the Fine Art Albums begin at £700 for an 12x12 album with 40 pages. After your wedding day we will arrange an album consultation where we will discuss options for your album and any extras you wish such as engraving and foiling for your album cover. 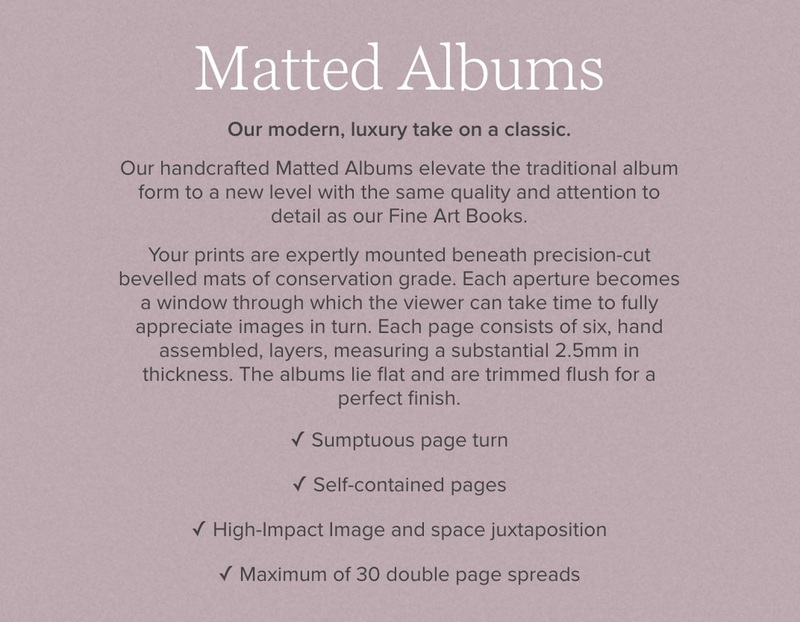 Prices for the Matted Albums begin at £950 for an 12x12 album with 40 pages. After your wedding day we will arrange an album consultation where we will discuss options for your album and any extras you wish such as debossing, foiling and 22 carat gold finishing for your album cover.